Happy Monday everyone! Well, I figure if I say it enough, maybe it will be true. My kids had Spring Break last week and it's always hard getting back to "normal" life on the Monday after a break, right? We didn't go very far away for our break - this lake is about a mile away from us and we spent one evening down there enjoying the nice weather and the sunset. First of all I want to announce the winner of the book giveaway from last week. 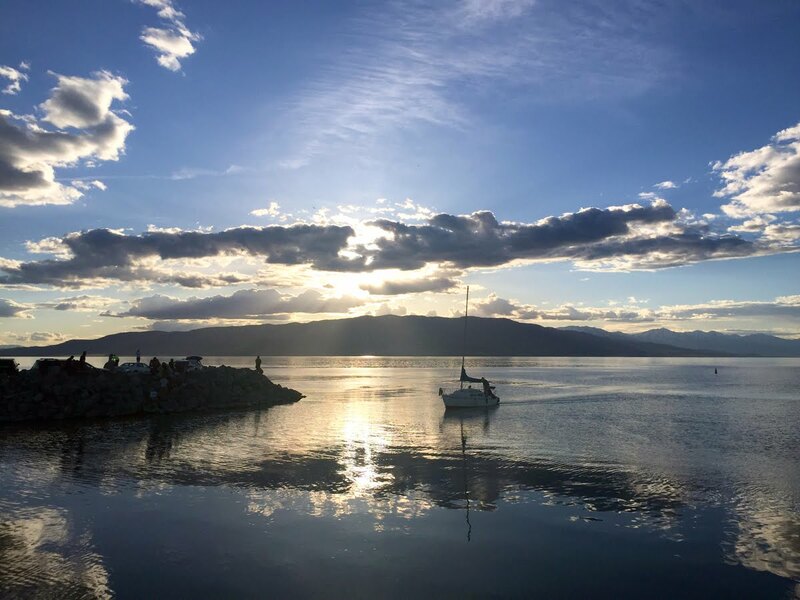 Congratulations to Nancy (commenter #18)! Thank you to everyone who entered. It was so interesting to read the different ideas you had for using favorite T-shirts to make a quilt. I do still have a few copies of the book here in my shop, and for the next week if you enter the code "freeship" at checkout you'll receive free shipping! When I opened my February box this is what greeted me - these 12 pretty fat quarters from Lori Holt's Calico Days line, and candy! Each month the fat quarters are different - how fun! On their website you can sign up for a 1, 3, 6, or 12 month subscription, and each includes free shipping. Be sure to sign up by the 20th of the month to receive that month's box! 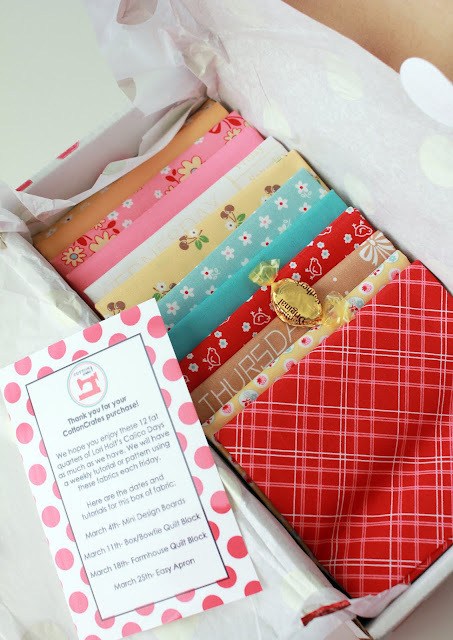 And on the Cotton Crates Blog each week they have a free tutorial to give you ideas on how you can use all of the lovely fat quarters that you will receive. This is a great way to build your stash, or subscribe for one month and have it sent to a friend. 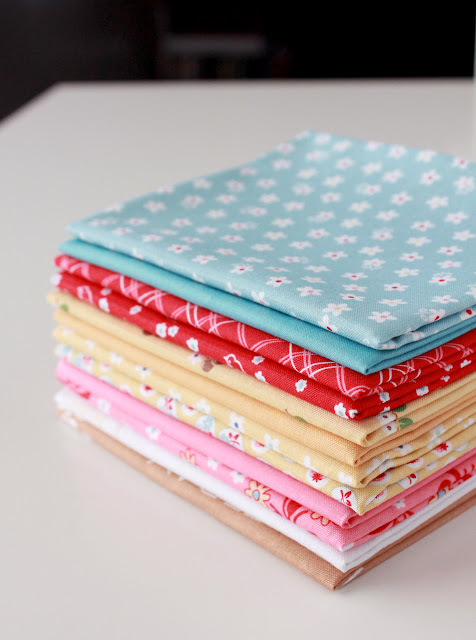 This photo of my fq stack is from a couple of weeks ago and I've already cut into it! 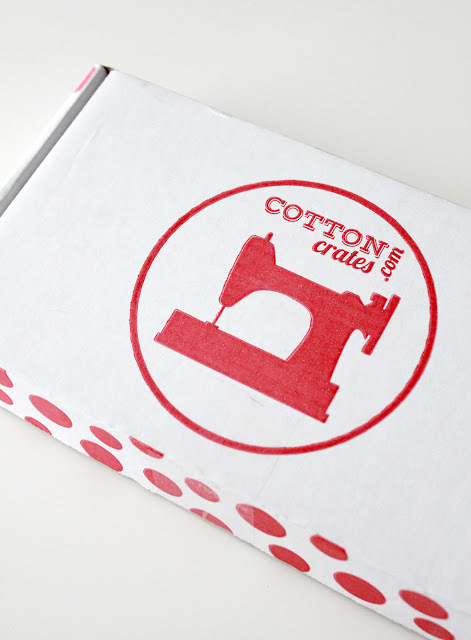 Cotton Crates sounds like so much fun! I think if I get into another monthly club, my UPS guy will need an assistant to deliver:) Just found your blog recently, and LOVE it! I love your comment about the UPS guy, my UPS guy is in the same situation, haha. I'll check out this Cotton Crates though.